If you are looking for a superior solution to your home's water heating needs, then you may wish to consider a tankless water heater from Hilltop Plumbing. 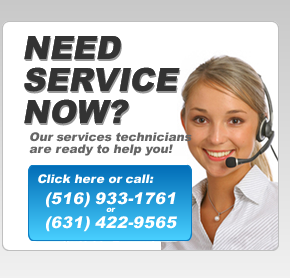 We are Long Island's tankless hot water specialists, offering professional service and friendly advice on the various hot water solutions available. You never run out of hot water. Your hot water is created on-demand for all of the home for as long as you want. It means no more worrying about being last into the shower in the morning! Lower running costs. It costs less to run a tankless hot water system than a tank system for equivalent hot water usage. That's because tank system have to keep hot water on standby in case you need it at any point in the day - and that is wasteful in terms of energy consumption. More environmentally-friendly. Because they use less power tankless water heaters are more environmentally-friendly. As a nation, heating hot water is one of the main uses of residential energy. Great warranties. Tankless systems come with fantastic warranties, and are regarded as having much longer working lives than a tank hot water system (which can be prone to leaks and rust). It is estimated that tank system owners will have to replace their heater more than once over the lifetime of a tankless system. Save space. Tankless systems use up much less space than a tank hot water heater. 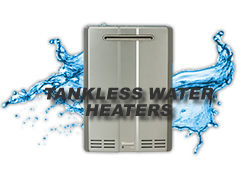 Did you know that tankless water heaters can be installed almost anywhere?